A few weeks ago I was preparing the Big Book Giveaway event and I noticed of the books were free in their ebook form. So, like any reading addict I clicked BUY! One such book was Angela Roquet's Graveyard Shift. It is a cozy mystery featuring grim reapers and I don't know about you, but I don't typically put humor and reapers in the same sentence. So I had to take a chance on what I hoped would be a quirky summer read. 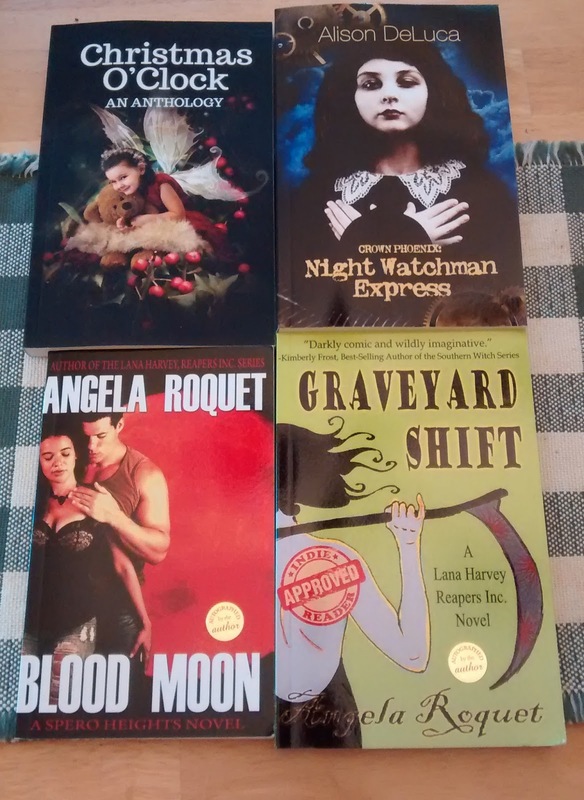 Graveyard Shift is the first book in Roquet's Lana Harvey, Reapers Inc series and as such there was quite a bit of world building in the opening chapters. Unfortunately it caused the story to start more slowly than I would have liked. But I think it was also because I was struggling with getting into a world about the afterlife that went against my own personal religious beliefs. (I can suspend belief when it comes to aliens ruling the world, but apparently it is a bit more difficult for me when it comes to what happens after death). It probably didn't help that I couldn't care less about fashion and the main character loves fashion, so there were clothing descriptions that I could have done without. Particularly since I was dying to find out what kind of hilaritiy reapers could get into when dealing with the dead. But once the story progressed past setting up the who and where and we really got into what the story was about, I became engrossed in it. So much so that by the end I was wanting to pick up another Lana Harvey mystery. Did it turn out to be the quirky summer read I was hoping for? Yeah. Pretty much. It was entertaining, light read. And I think future books will be even better as we get to the know the characters and the world they inhabit more. I can see the potential for this becoming a "must read" series for me and I don't have very many of those. I liked the cast of characters. There is a great diversity of personalities, which I'm sure will provide numerous opportunities for fun (for the reader at least) in the future adventures of Lana. Lana reminded me a lot of Lisa Lutz's Izzy Spellman (Spellman Files) and JB Lynn's Maggie Lee (Confessions of a Slightly Neurotic Hitwoman). Just as it was with those characters, I look forward to 'watching' Lana grow up. Roquet has definitely done a great job creating a character the reader will want to root for. Lana is absolutely an awesome option for those looking for a book best friend (you know, if you overlook the tiny fact that she's a reaper. Maybe just think of her as an undertaker. Umm... that's probably just as creepy). 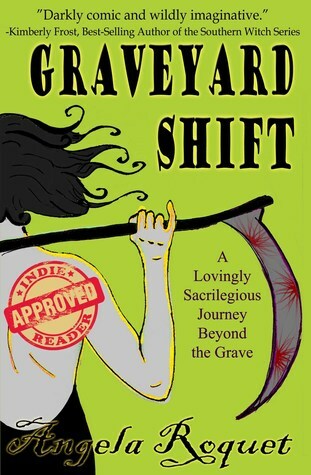 If you are looking for something a bit different in your supernatural or cozy mystery reading, then I recommend giving Graveyard Shift a chance. Enter the giveaway below for your chance to win a signed paperback copy, and if you can't wait for the giveaway to be over to start reading it, then pick up the free ebook at Amazon or B&N like I did.